Hello and a warm welcome to the Lena Zavaroni Fan Club website! My name is Debs and have been running this site for more than 15 years now. What you see before you is the result of a lot of hard work and many hours trawling through my vast collection of photographs, videos and other memorabilia. This new improved website will, hopefully show what an amazing talent Lena Zavaroni was and keep the memory of her alive for many years to come! Please feel free to post your comments and suggestions and pop over to the Facebook page and join in the fun over there too! There have been many Child stars to grace our Television and movie screens but back in 1974, no one was prepared for the impact Lena Zavaroni would have on the Nation, never before had such a voice been heard as the one this Charming little girl had. No one saw her meteoric rise to fame coming, not even her Family. Lena was born on 4th November 1963 in Greenock, Renfrewshire and grew up on the Scottish Isle Of Bute in the small town of Rothesay. Her Family owned a Fish and Chip shop, called appropriately Zavaroni’s. At certain weekends at local bars once or twice a month her Father Victor would play the guitar, whilst mother Hilda sang, and Lena herself would occasionally sing, starting from the age of two. It was there in the Summer of 1973, purely by accident that she was discovered by Record Producer Tommy Scott, who was on holiday in Rothesay and heard her singing. Scott contacted impresario Phil Solomon, which led to his partner Dorothy Solomon becoming Lena's manager. Her Father Victor has always stated that Lena was never a precocious little girl, she just enjoyed singing. Lena made her very first Television appearance, on the Talent show, Opportunity Knocks hosted by Hughie Green. It was the 6th January 1974 when Lena was heard by the general public for the very first time singing 'Ma, He's Making Eyes At me'. Who could ever have imagined that her life was about to change forever. After her tremendous success on Opportunity knocks, Lena recorded her first Album, titled appropriately ’Ma! He’s Making Eyes At Me’’ which reached number eight in the UK album chart. Songs on the Album included ‘The End of the world’, ‘Swinging on a star’ and ‘Help Me Make It Through The Night’. The song ‘Ma’ became a top ten hit. At 10 years, 146 days old, Lena Zavaroni is still the youngest person to have an album in the Top 10 and was also the youngest person to appear on the BBC’s Top of the Pops. Another single (You’ve got) Personality was released in the UK and reached number 33 in the Charts. Still in 1974 and America soon beckoned, Lena famously sang at the MDA Telethon show with Jerry Lewis and a Hollywood Charity Event which starred Frank Sinatra and Lucille Ball at which Ball commented, "You’re special. Very special and very, very good," Following this, Lena guest starred on the Carol Burnett show, the Merv Griffin Show, The Cher show. Lena even performed at the White House for President Gerald Ford. Lena was yet to catch her breath as she was soon travelling to Japan where the song ‘Ma’ was recorded and sung in Japanese by Lena, becoming a number one hit. Japan loved her. Then she toured South America and all over Europe, becoming a massive overnight international sensation. Continuing in 1974, another single was released, ‘You’re Breaking My Heart’ and a new Album ‘If My Friends Could See Me Now’. Lena was now an extremely busy 10 year old, living away from her home and her Family. After Lena returned to the UK she appeared in many TV shows such as, The Bachelors Show where she appeared weekly, Seaside Special, The Russell Harty Show, The Des O’Connor Show, The Morecambe & Wise Show, The Wheeltappers & Shunters Club, she also appeared weekly on Hi Summer and guested on Bruce’s Big Night, The Golden shot and Junior showtime. Another single was released in 1975, the song 'Smile', hitting the charts yet again. 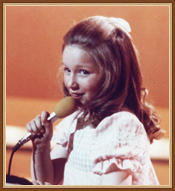 In 1976, at the age of 12, Lena became the youngest person to top the bill at the Royal Variety Performance and performing on a live TV broadcast of the show. Soon after it was decided for Lena to attended the Italia Conti Theatre School in London. 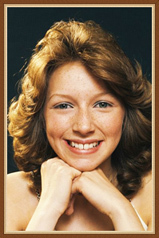 Among her classmates was fellow child star Bonnie Langford. They were quickly paired up and went on to make a show called The Lena and Bonnie Easter Special which was a huge hit. Songs sung on the show included 'Boogie Woogie Bugle Boy', 'It’s Not Where You Start' and ‘The Air That I Breathe'. Lena also had a single, ‘Some of these days’, which was released that same year. At aged 13 and Lena’s third Album, ‘Presenting Lena Zavaroni’ hit the charts, with such songs as, ‘His got the whole world in his hands, Won’t somebody dance with me and ‘speak to me pretty’. The year was 1977 and her single ‘Air Love’ went into the charts. In 1978, Lena had another hit with the single ‘I should have listened to Mama. A fourth Album then followed, ‘Songs are such good things’ with songs as 'Speedy Gonzales', 'Crazy Little Lover Boy' and 'The Air That I Breathe'. It was in 1978 that Lena had her first solo TV show called ‘Lena Zavaroni on Broadway’. Recorded by the BBC, it was chosen for the 1978 Golden Sea Swallow Festival, where it won the silver award. On the show Lena performed many songs including 'Wouldn't It Be Loverly' from the musical My Fair Lady. On the show, Lena was joined by Wayne Sleep and they performed the song 'Anything You Can Do' from the musical Annie Get Your Gun. Lena also sang 'My Favorite Things' from the Musical The Sound of Music. In 1979, when Lena was just 15, she was given her second solo TV show called Lena Zavaroni And Music, it was a huge success. The show featured Lena singing songs such as ‘Can You Feel A Brand New Day, ‘Bright eyes’, ‘Superstar’ ‘Back in time’ and ‘Music was my first love’. The show not only had Lena singing on it with many guest stars but also included comedy sketches as well, showing the huge versatility of her skills. She also had a chart single release of ‘Somewhere south of Macon’. The TV Show was followed by 3 more series in 1980/81/82, appropriately called ‘Lena’. The shows were full of hit songs and Lena would always sing live to an orchestra. Each series Lena would invite many famous guests to appear on her shows. Her 1980 series had many great songs including ‘Dance Yourself Dizzy’, ‘Jump Shout Boogie’, ‘Opening Night’, ‘Day Dream Believer’, ‘Longer’, ‘Rescue Me’ ‘Even Now’ and ‘I wanna Make The World Laugh’, and celebrity guests as Paul Daniels and Les Dawson. Lena also released the chart single ‘Jump down Jimmy’, appearing on Top of the pops. Lena’s series in 1981, had her singing hits such as, ‘Going Nowhere’, ‘Roses and Rainbows’ ‘Lately’, ‘Working 9 to 5’ and ‘One More Chance’. She had famous guests as Little and Large, Rod Hull and Emu and Norman Collier. All the most current stars in the UK at the time. The single ‘Roses and Rainbows’ taken from her TV show was also released. 1982, also saw Lena have her fifth and last album release, ‘Hold Tight, It’s Lena’. Which had classic songs as ‘I’ll see you in my dreams, ‘Ain’t she sweet, ‘the very thought of you’, and of course ‘Hold tight’. Lena sadly passed away on October 1st 1999. Although Lena is no longer with us, she is still remembered by a huge number of fans both in the UK and around the world, and she still continues to touch everyone’s hearts with her wonderful voice, and her amazing outstanding talent. ​The music Lena left behind will play on! Written by David Fielding .